You are a fiery witch. Your charisma and sensual beauty draw many to you. You are creative and full of vitality and inspiration. Never one to blend in, you’re appearance is bold, bright and..er.. fiery 🙂 You draw your power from fire and may be a bit of a pyro.. for pretty sented candles at least. I borrowed this from Bogie, who borrowed it from Drumwaster. I figured I was mid-nerdy. I don’t have much math in my background, but I did like school. I don’t understand the innards of my computer, but I really enjoy using it. AND, bed-time on Friday night is 10:00….an hour later than the rest of the week. Nerdy, huh?? The World card pictures a dancer in a Yoni (sometimes made of laurel leaves). The Yoni symbolizes the great Mother, the cervix through which everything is born, and also the doorway to the next life after death. It is indicative of a complete circle. Everything is finally coming together, successfully and at last. You will get that Ph.D. you’ve been working for years to complete, graduate at long last, marry after a long engagement, or finish that huge project. This card is not for little ends, but for big ones, important ones, ones that come with well earned cheers and acknowledgements. Your hard work, knowledge, wisdom, patience, etc, will absolutely pay-off; you’ve done everything right. 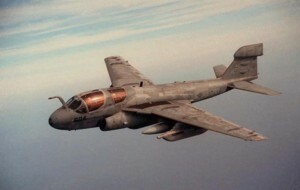 Borrowed From Cop Car, Bogie, Jim at …..
You are an EA-6B. You are sinister, preferring not to get into confrontations, but extract revenge through mind games and technological interference. You also love to make noise and couldn’t care less about pollution. You scored as XIX: The Sun. This is the happiest card in the deck. It is full of joy and optimism, everything is right with the world. We are as innocent children playing in the fields without care. The Sun brings success, well-being and happiness in all spheres – material, emotional, spiritual -wherever our desires lay.When this card appears in a Tarot spread it indicates success, joy and happiness. Obstacles will be overcome, goals achieved.When badly aspected, it can indicate a stagnation through over-indulgence, too much of a good thing. Which Major Arcana Tarot Card Are You? Arrrrrrrrrrr!! I be BLACK MORGAN CASH…..
Like anyone confronted with the harshness of robbery on the high seas, you can be pessimistic at times. You’re musical, and you’ve got a certain style if not flair. You’ll do just fine. Arr! Don’t you need to know your pirate name? A friend sent me this link, so I could learn mine, and now you can learn yours, too! I was visiting at Blue Witch’s blog, and saw the Quizilla test “What Witch Are You?” I figured it was worth a try, but I’m a bit surprised at the results. I feel the need to mop up the spilled wine….. I was visiting over at Bogie’s and found this quiz. I really think that I may be a long lost member of her extended family. She and I came up with the same results! What Type of Moron Are You? Essay, at StupidAngryCanajun, has posted the Moron Quiz from Quizilla. How could I pass this one up? Frankly, I’m delighted to see that I’m recovering!